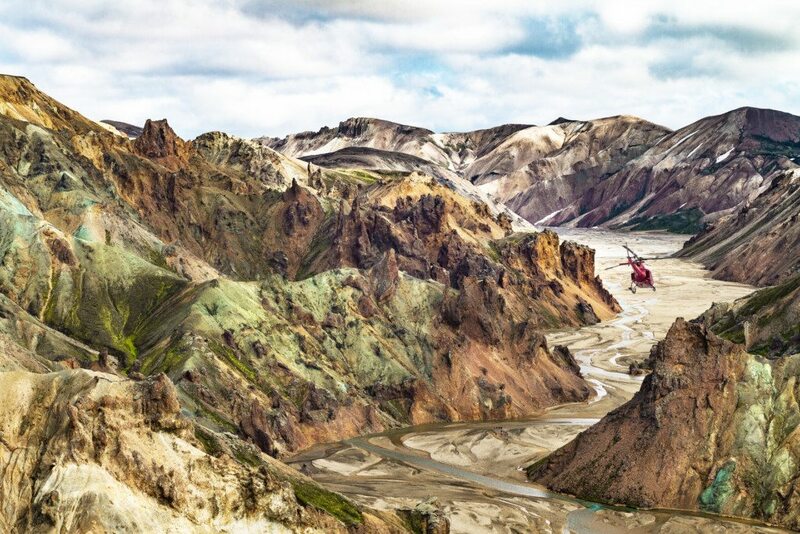 Landmannalaugar is located in the Fjallabak Nature Reserve in the southern highlands of Iceland. It is extremely colorful, containing both dark and light basaltic rock. It is one of the few places in Iceland with the light colored rhyolite. It is also the biggest rhyolite location in Iceland and the geothermal activity is what causes alteration in the rock giving us this variety of colors. It is a well known area for trekking, biking and horse back riding and the experience would not be complete without a hot bath! Landmannalaugar's hot geothermal spring is a popular area to relax after a day of hiking. Of course, it is even easier to explore this gorgeous area from above on our Essential Iceland tour and our Glacier Lagoon Expedition!